Designer bags are every woman’s dream come true. The level of sophistication that they have and their high quality is something that cannot be ignored. However, these bags are costly. 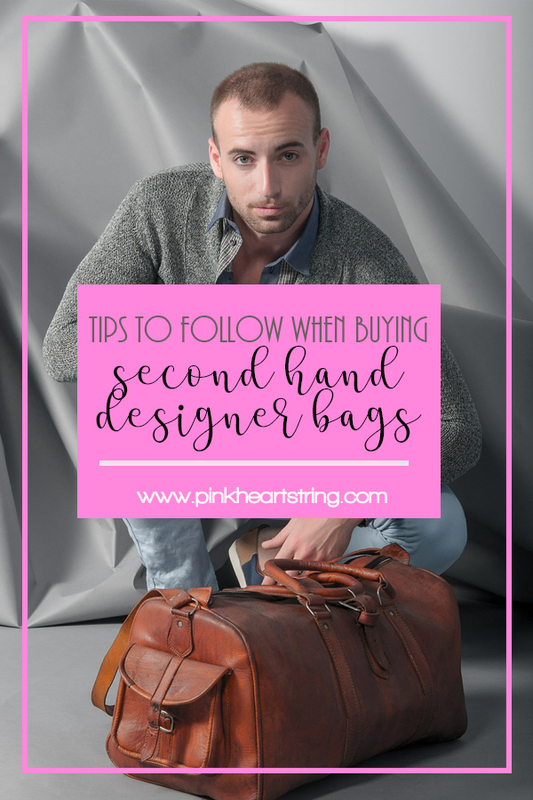 Luckily, you can buy a pre-owned,pre-loved or second-hand designer bags. They have great deals and are still a good option for you if you are looking for something unique. However, shopping second hand requires extensive research to ensure that you are not buying a fake one. Here are some tips to follow. Most online shopping can be done with a one-click process, and you are ready to pay. That is, however, not the case for second-hand designer bags. You will need to invest a lot of time looking around and doing a lot of research on what is in the market. You should read the specs of the bag on the websites to see what it has. You could also check on the reviews of that particular site and see what other people are saying. If the majority of people are happy with the services and the products, then you can trust them. If many customers are complaining of the quality of the bag, then this is a red flag that you should beware of. When possible, you could go to the store and try on the bag. See it for yourself to confirm if it is what you are looking for. You should ensure that the bag is in excellent condition. One of the most common things to look at are the wears on the corners and any scratches on it. The seller should give you information on any wear on the bag so that you can decide if you are comfortable with it or not. If you find that these light scratches and scuffs are a deal breaker, then maybe second-hand bags are not for you. These are some of the signs to show that it may not be genuine. Seams-If the seams on the bag are not straight and the patterns not matching up, then it may mean that it is fake. Logo-It will be blurry, have some misspellings and may even be smudged. It will show that it is not real. Strength- A good bag will be able to stand upright when empty. The sides will cave into the way the bag falls over. One of the main points that you should note is that second-hand shopping is different from retail and online shopping. Returning the bag or getting your money back may be harder than in the other instances. You will find that some sites will have a stringent no return policy which may force you to resell the bag on your own. Some will allow you to return it only in a specific period, which if you extend, you will not be able to do that. With this one, you may get only a fraction of what you had paid for. Ensure that you know the return policy well and that you are comfortable with it, in case anything goes wrong. Pricing of second-hand designer bags is something that you should pay attention to. Some of these bags will go at half their original price while some will be a bit expensive. The more a bag is coveted, the less it will depreciate in its value. 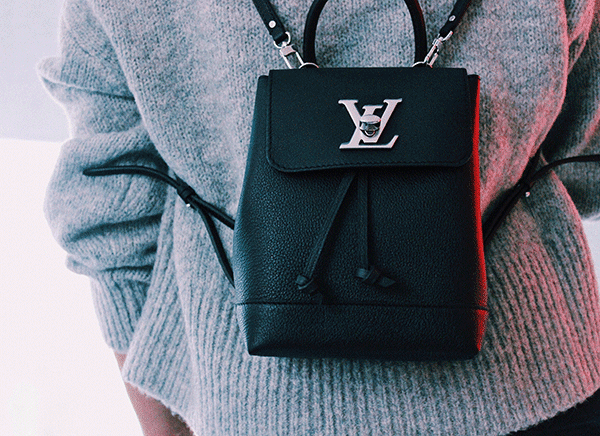 You will find that bag designs from Chanel, Louis Vuitton and Balenciaga will have their resale prices being almost close to the retail price. These bags tend to sell very fast since many people want them. If there is a waiting list, do not hesitate to follow in line so that you will be first to know when your bag arrives. You could sign up to be informed by email once your ideal bag has arrived. It is essential to keep tab of all the exchanges that you made with the seller and all the receipts acquired. It will help you in case of any future references. Remember that you cannot be too careful and it is prudent to practice caution even though this does not mean that these sites are not reputable. You can buy your bag from a pre-owned store, eBay, from someone selling it on Facebook or Instagram or even at your local shop. You need to ensure that you can trust the person reselling it to you. They should give you a receipt for the purchase that you have made. A reputable online shop will have a return policy and also guarantee that it is an authentic designer purse. You should check how long they have been doing this to see if they have experience in it. Someone who has been doing it for years is better than someone with only a month in it since they know all the ins and outs and are more likely to have a vast customer base. If something does not feel right to you, do not go forward with it. If a site does not have pictures of the bag or the information given is inadequate, then avoid them as fast as you can. If you do not feel good about the transaction, do not give in to the allure of the bag. Also, if the price is too good to be true, then it might be fake. 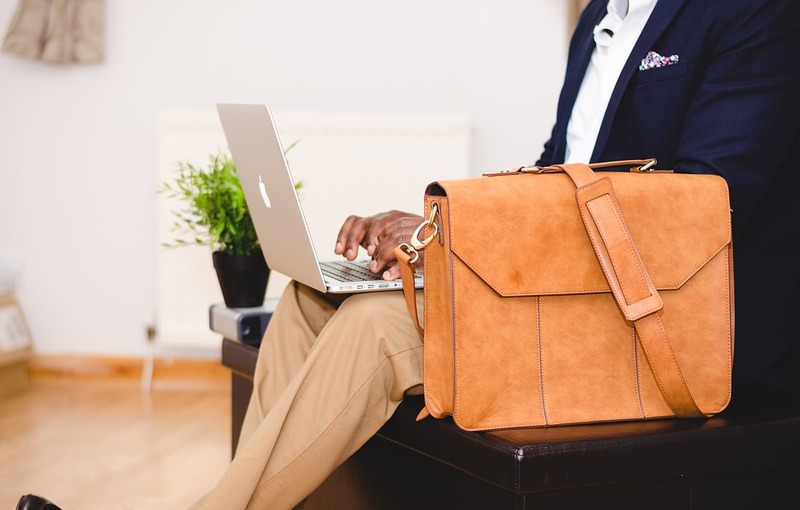 Acting quickly on deals may seem to be a good idea, but it may not be the real bag. Spending a little more money to get the right one will not hurt. Ensure that when you buy, you follow your instincts. Do not ignore them, since they may be right. In the second-hand designer bags market, there are many great deals that will be hard to avoid. However, it is good to take your time and do your research. Ensure that you know how the original bag looks like to avoid getting a fake one. With the above points, you are ready to start your shopping spree. One thing that is part of our wardrobe is socks. We need it to protect our feet while wearing shoes. Although other people do not use it or only put it on sometimes, wearing socks actually has a lot of benefits. Yes, it is not just part of one's fashion. Socks are here for a purpose! If you have kids who hate wearing socks, you can tell them the advantages of using one. This will make them realize the value of socks. We have to make them understand that socks are not just colorful or printed feet covering that will look cool with their shoes and clothes. Although we can really express our style using it! We can definitely "Say It With A Sock" to show others who we are and what we like. 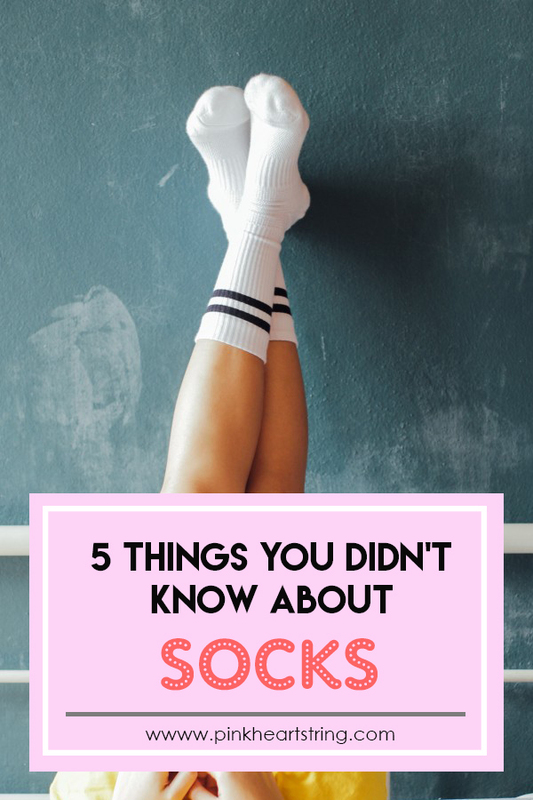 So today, we are going to show you some five things that you didn't know about socks! This will be interesting not just for your kids and even for moms too. We will talk about why we wear it and some fun facts about socks. 1. Socks prevent your feet to stink. No one wants to have stinky feet! Ewwwww! Notice that if you wear shoes without socks, your feet will sweat. Since it will go directly to the shoes, it will create a foul smell that you will not like. 2. Socks can prevent cracking. When you put on your pair of socks during sleep, it will keep your feet soft. Socks lock in moisture which helps to prevent cracking. Additional tip: Lather a thick foot cream or petroleum jelly on your feet before putting on socks at night. This can help your feet's dryness to lessen. 3. It keeps your feet warm. I am certain that you have tried wearing socks during winter and even during cold evenings. How did it make you feel? 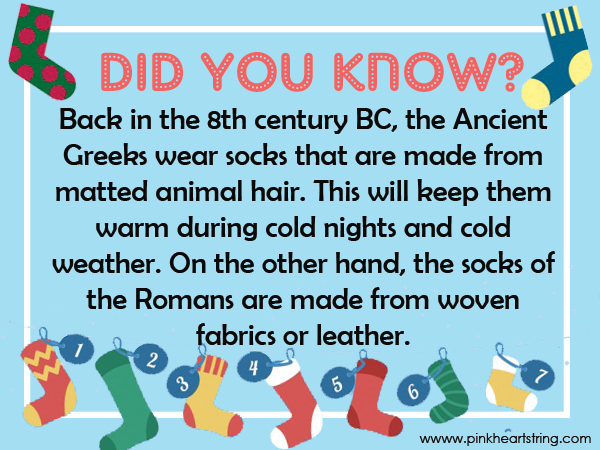 Socks will help maintain heat temperature on your feet. 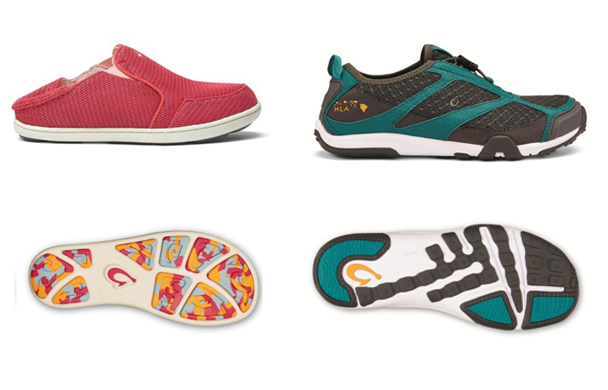 It serves as a layer of insulation to keep your feet warm. People who get hypothermia and frostbite wear socks to protect them from the cold. 4. Lost socks are common! Don't worry. You are not the only one. So many people claim that they lost their socks in the dryer. Or sometimes it just gets misplaced somewhere. But where do all the socks go anyway? Turns out, the tumble dryer or the washing machine is just hungry. A few months back, Sarah Rose tweeted a photo of a dryer with the bottom removed. Guess what was in there? SOCKS! Cathy Hinz, who owns the washer dryer, shared to news.com.au that her husband unscrewed their machine since it wasn't working properly. To their surprise, they found so many socks, underwear, a credit card and even some coins worth $7 in total. Many Twitter users shared the post since it proves that machines really gobble up socks. 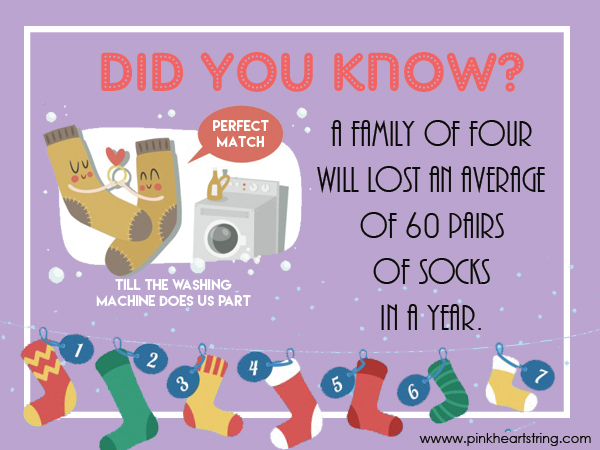 Well, a sock-eating-machine isn't an urban myth after all! 5. There's a lot you can do with old socks. For sure, you have experienced gathering old socks of different colors and sizes. These are no longer used it's either because their garters won't work well anymore or it doesn't have a pair. What do you usually do when you get a hamper full of old? Don't just throw them away because there are many things that you can do with it! It could be something that you can use as a home decor or even toys for your little ones. This hosiery is indeed a must-have! Apart from all the benefits that socks can give us, it is also a nice way to express your style. Using a sock could add an interesting feature in between the hem of your skirt or pants and your shoes. Without a doubt, it is a nice way to show some flair. Even if you are wearing simple clothes, people can still look your way because of your beautifully printed socks! Also take note that when you sit, your socks will be exposed. This is another opportunity to show off your favorite feet covering. Of course, it would be nice to get different colors and prints for your socks. It would be easy to get new ones if you avail of the women's sock subscription. And yes, this is also a good way to pamper yourself, mommy! You deserve a pretty new sock every month because of all your hard work in looking for your husband's lost sock. Lol! You can stop searching. They're all in the dryer! Lol! Image Credit: First three pictures from Say It With A Sock Facebook page, Last image and vectors from Freepik. Slipping your feet into a brand-new pair of shoes can be a wonderful experience. From high-heels to orthopedic shoes, there are countless different styles to choose from. The right pair of shoes can provide the perfect finishing touch to any outfit. They can also give your feet the proper amount of support when you are working out or if you suffer from a condition that affects your foot health. Whatever type of shoes you purchase, it is important to break them in before you wear them. Otherwise, you may wind up with blisters, sore spots, and pain. 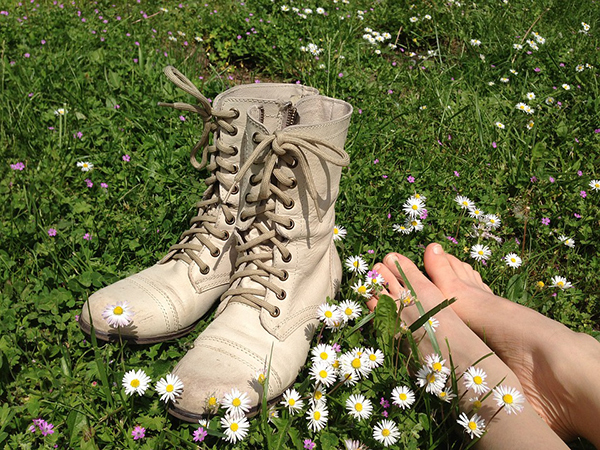 We are passionate about shoes and want to make sure that you love every pair that you own. To that end, we have put together some helpful tips on breaking in new shoes so that they won't wind up hurting your feet. 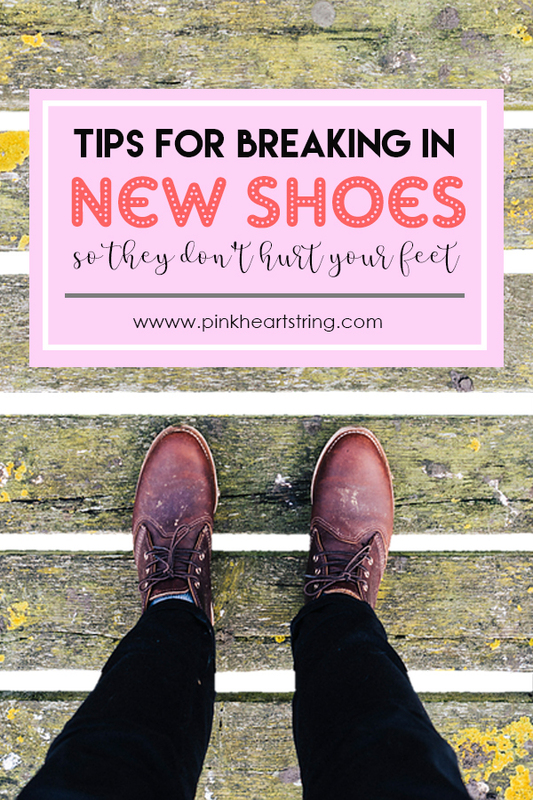 If you are looking forward to wearing your new shoes but don't want to experience any pain, try using these tips to break them in. The best way to start breaking in a new pair of shoes is by wearing them around your house. When you are indoors, you typically don't walk very far. That means that you can start helping your shoes conform to your feet without committing to wearing them for a long period of time. The first time you wear them, try to keep them on for approximately an hour. Then, take them off and allow your feet to rest. Repeat that process several times before moving on to the next step. The next part of the process is to wear them out for short trips. For instance, when you run to the grocery store to pick up a few groceries, try slipping them on and wearing them out of the house. This will give you a chance to continue breaking in your shoes without having to wear them for a long period of time. Chances are, they still will feel comfortable on your feet by the time you are done shopping for groceries since you won't have to walk very far. Take the shoes off again when you get back home. Shoes that are too small can often be stretched to make them fit more comfortably. Although you can have a professional do this, you can also try to do it yourself with the assistance of heat. Use a hairdryer on the lowest setting to heat up your shoes by directing the air inside of them. Next, put on two pairs of thick socks and slip your feet into the shoes while they are still warm. This will make the process of stretching them out a lot easier, helping to prevent discomfort. Once the shoes cool off, they should hold their shape, making them a little bit looser on your feet. For the first few days after you get a new pair of shoes, you should always wear socks with them. Until they are broken in, most new shoes will rub in certain places against your feet. This can cause blisters to form. The best way to avoid this is by cushioning your feet with a nice pair of socks. 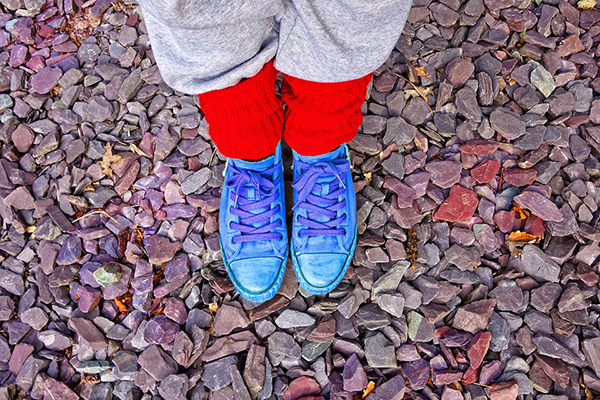 Even though you might feel a little bit silly, you should put on socks when breaking in any pair of shoes including sandals, pumps, or dress shoes. Obviously, if you have received a pair of OluKai sandals then socks and sandals isn’t a good look. After they are broken in, you can lose the socks and wear them the way that they were designed to be worn. As your shoes start to feel more comfortable, begin wearing them for longer and longer stretches of time. Just make sure to proceed slowly so that you don't wind up getting blisters or damaging your feet. Eventually, they will become comfortable enough that you can wear them as long as you need to without needing to give your feet a break in between. Once your shoes are properly broken in, you can wear them anywhere with confidence, knowing that your feet will stay comfortable and pain-free. It is well worth breaking your shoes in slowly so that you can enjoy wearing them every time you put them on your feet. 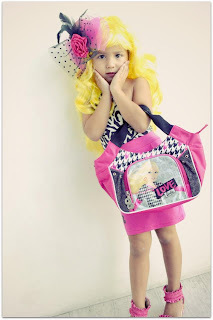 Moms would love to give their little princesses every beautiful thing in this world. 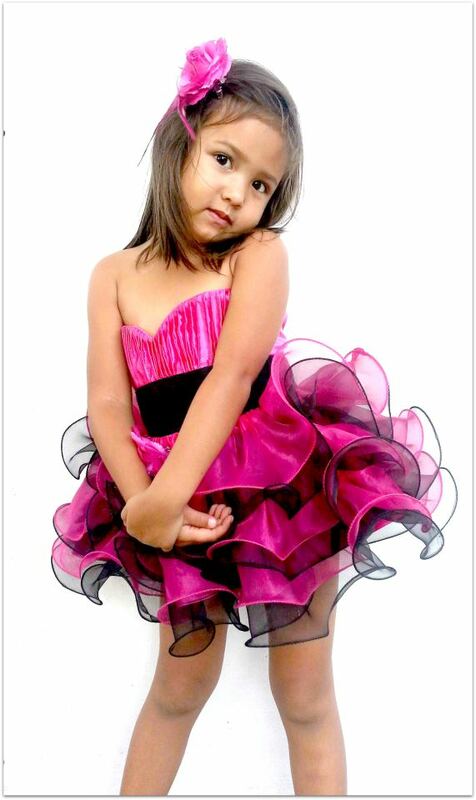 If we speak of fashion, tutus are always part of the list since they really look super cute for these little ladies. 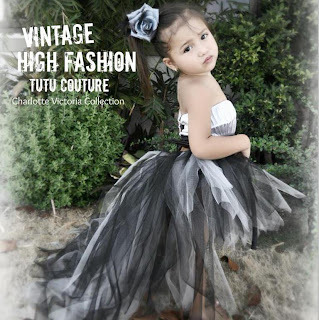 I have tried making a tutu gown for my friend's baby and it sure looked lovely on her. But I got the idea on how to make tutus from online shops where creative mommies make tutu gowns and skirts for little girls. 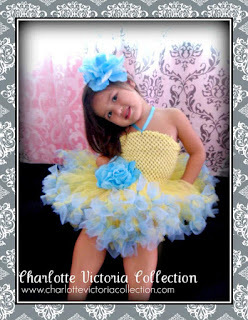 The very first shop I came across that impressed me a lot is the Charlotte Victoria Collection. A look at their Facebook page and their website seems like a whimsical tour to a world of beautiful princesses. Aside from the impressive designs, what added to the appeal of the CVC presentation is their model. Charlotte Victoria Sluitman is a 3 year old daughter of Ms. Marites Paguio, the talented designer of the CVC collection . 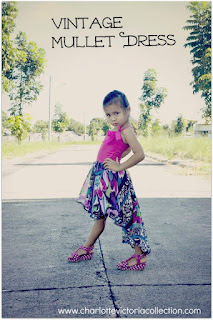 Once you see her, you will surely agree with me that this pretty little girl could be the next top model in her generation. The way she carries the dresses and her graceful poses manifests her passion in what she do. You can clearly see that no one has actually forced her to do it. 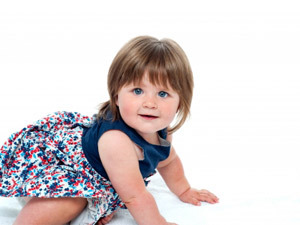 Although, her mommy could have encouraged her at first but with the looks of it, Charlotte really have the heart for fashion and modelling. It seems like she is born for the camera and for fashion. So, pretty, right? 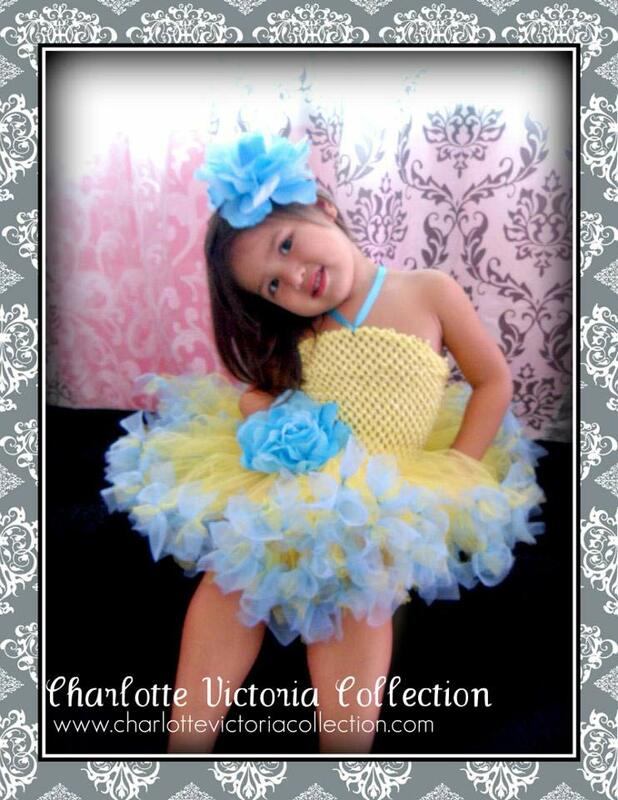 I know you want your little girl to look as fabulous as Charlotte. 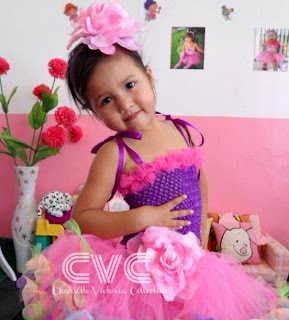 The good news is, you can get these dresses from the Charlotte Victoria Collection website, CVC Blog or from their CVC Facebook Page. They ship internationally. 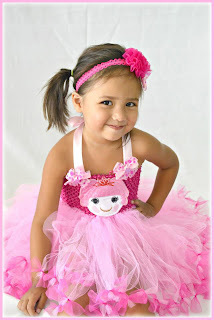 So, wherever you are in the world, you can avail of these pretty tutus and dresses that can be customized depending on your color choices, size and style.